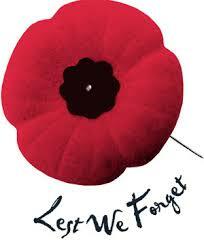 Remembrance Day and Veterans Day are about honouring those who fought for their countries, for others. You don’t have to agree with war or the reasons for it to remember those that fought and those that died. I’m saddened and disappointed to see stores, malls, and streets decorated for Christmas before Remembrance Day has been respected. The commercialism of Christmas is bad enough, but this is rude and disrespectful. Cries scarce heard amid the carols blow. The dignity of those we’ve lost. 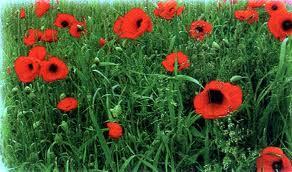 With all due respect to John McCrae and all those who fought, were wounded, and died in service to their countries. Christmas comes after Remembrance Day. It’s all for Christmas and forget about people who died for us…. Very true and sad state of affairs. Now many are going to be open all day on thanksgiving so people can get shopping for christmas. In England this year people started wearing their poppies in October, which I also find slightly odd, even though it meant being confronted by a Gurkha military band at Waterloo station at the end of the month when there were marines collecting from commuters. When people first started wearing poppies in the twenties of the last century, they would only wear them on the 11th November. I’ve only been wearing mine since yesterday and that feels a bit premature, even though Sunday was Remembrance Sunday. We’ve been having Christmas adverts on TV since 1st November. Very annoying. Thankfully, we don’t do Thanksgiving. Yes, I was in the stores and being blasted with Christmas music, decorations and people are already in a buying frenzy here, it’s quite annoying. In Canada our Thanksgiving is early October so it’s been and done. And of course, everyone is already going on and on about Black Friday sales. Sigh. When do we ever get a chance for regular days? We’re starting to get Black Friday here, as well, which I really don’t understand. I don’t mind starting to think about Christmas now, I just don’t want to be surrounded by it. I love Christmas, but months of Christmas, especially before Remembrance Day seems over-the-top. In the stores, it is definitely getting the Christmas stuff out as soon as they can. What a great reminder to people this should be. I too detest the intense commercialism of the holiday myself. I know I sometimes sound like The Grinch, but they could at least have the decency to wait until after Remembrance Day/Veterans Day. Groan… I’m usually sick of Christmas by *JULY*… Everything else is eclipsed… even the eclipse. Where can I buy a humbug? Hmmm… Happy Halloween hugs! It’s all too much, it takes away the joy of the season.